『조선왕조실록(朝鮮王朝實錄)』과 왕실의 족보인 『선원보략(璿遠譜略)』을 보관하기 위해 지었던 조선 후기 5대 사고 중 하나이다. 『실록』은 조선 전기에 서울의 춘추관을 비롯하여 충주·전주·성주에 나누어 보관하였는데, 임진왜란(1592)으로 전주사고에 보관하고 있던 것만 남고 나머지는 모두 불타 없어졌다. 선조 39년(1606)에 다시 만들어 춘추관·태백산·묘향산·강화 마니산·오대산에 사고를 짓고 보관하였다. 그러나 인조 때 이괄의 난(1624)과 병자호란(1636)으로 『춘추관본』이 불타 없어졌고, 그 후 정족산·태백산·적상산·오대산에 보관하게 하였다. 『정족산본』과 『태백산본』은 현재 서울대학교에 보관되어 있고, 『적상산본』은 한국전쟁 중 없어졌으며, 『오대산본』은 일본에서 거의 불타 없어졌다. 오대산 사고가 있던 곳은 원래 물·불·바람이 침입하지 못한다는 상서로운 곳이었다고 한다. 사고를 지을 당시에는 실록각·선원각·별관, 그리고 사고를 지키던 수호사찰로 영감사가 있었으며, 참봉 2명과 군인 60명, 승려 20명이 사고를 관리하고 지켰다. 한국전쟁으로 모두 불에 탔으나 1992년에 사각과 선원보각으로 이루어진 사고의 건물을 다시 지어 오늘에 이르고 있다. 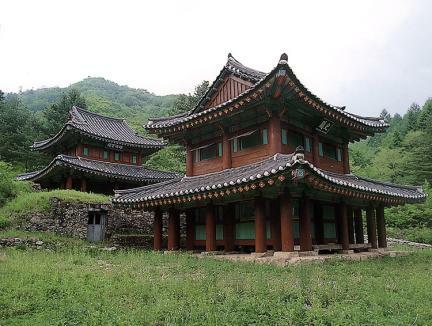 It is one of five royal libraries built during the late Joseon Dynasty (1392~1910) for The True Record of the Joseon Dynasty and The Genealogy of the Royal Family. 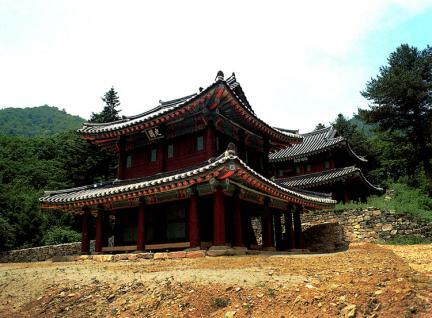 The four copies of True Record were stored in Chunchugwan in Seoul and at the archives in Chungju, Jeonju, and Seongju in the early Joseon Era but were destroyed during the 1592~98 Japanese Aggressions except the one in Jeonju. New copies of The True Record were made to replace them and placed in Chunchugwan and archives in Taebaeksan, Myohyangsan, Manisan, and Odaesan Mountains in 1606, the 39th year of the reign of King Seonjo (1567~1608). Note, however, that the one in Chunchugwan was burned during the 1624 Yi Gwal Revolt and the 1636 Qing aggression. Later, the others were deposited at the archives in Jeongjoksan, Taebaeksan, Jeoksangsan, and Odaesan Mountains. The copies in Jeongjoksan and Taebaeksan are now at Seoul National University. The Jeoksangsan copy was lost during the Korean War (1950~53), whereas the Odaesan one was moved to Tokyo Imperial University in Japan but was destroyed during the Great Earthquake of 1923. 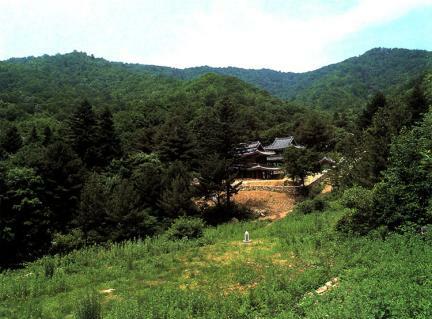 The place for the archives in Odaesan Mountain was thought to be able to withstand fire, wind, and water.